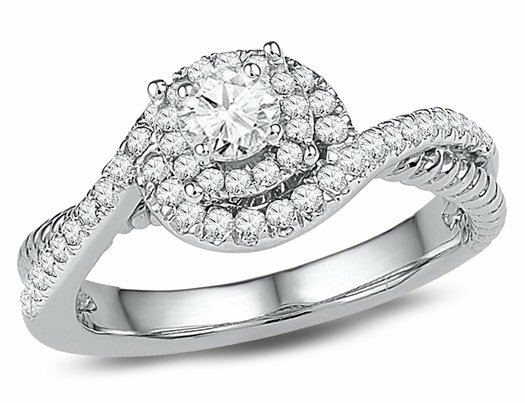 She'll feel fabulous in this 10 karat white gold engagement ring. The center diamond has a clarity of 1/8 carat H-I, I1-I2, and sits glittering at the center of this ifinity ring, flanked by 50 smaller brilliant round diamonds, which bring the gemstone weight to 3/8 carat (ctw). This is a piece you will want to show off, and at a price you won't believe.